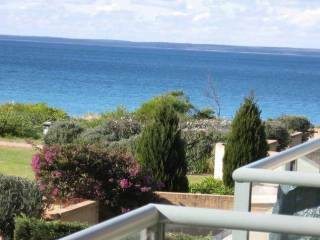 Location, location, location,..... "As close as you can get to the sea and sand "
Panoramic ~ Beach, Bay and Boat views with direct water access. Wake to the gentle lull of waves breaking on the beach and a breathtaking sunrise over the Bay. Sail On In BOATSHED is the ultimate in experiencing the splendour of Jervis Bay & Currambene Creek. See, smell & hear the waves while lying in your comfortable, queen size bed. Romantic, moonlit evenings on the deck. Keep a look out for the resident dolphins & pelicans swimming right past your door. 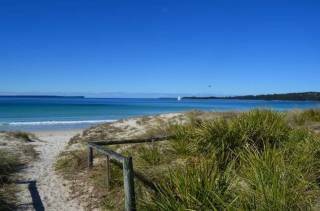 Hang up your car keys: only minutes leisurely stroll to EVERYTHING in Huskisson Village. Complimentary wine, beer & chocolates upon arrival. Kayaks & Life Jackets provided. Smoking is allowed on the outdoor decking. Welcome to our property. We are glad to have you staying with us and we hope you enjoy your stay. Please read this document, which sets out the rules for your use of the Property and forms the basis of your agreement with us. This Agreement is between You and the Landlord. (a) Subject to the terms of this Agreement, the Landlord grants the Guest a licence to use the Property, on the terms of this Agreement. (b) Nothing in this Agreement prevents the Landlord from entering the Property at any time. "Accommodation Fee" means the amount that the Guest is required to pay for the use of the Property, such amount being described in this Agreement or as specified by the Landlord. "Agreement" means this Short Term Rental Agreement. "Booking" means the booking made by the Guest to stay at the Property in accordance with this Agreement. "Arrival Date" means the first date that the Guest is entitled under this Agreement to stay at the Property. "Booking Term" means the period of time that the Guest is entitled to use the Property, subject to the terms of this Agreement, from the check-in time until the check-out time. "Departure Date" means the final date that the Guest is entitled under this Agreement to stay at the Property. "Guest", "Guests", "You" or "Your" refers to the person making the Booking, and to all members of the Party that are staying at the Property under that Booking. "Items" means the chattels and other items which the Landlord provides with the Property, including all carpets, floor coverings, doors, walls, windows, furniture, equipment, bedding, linen, towels, kitchen equipment, crockery, glasses, plates, white goods, electrical equipment, keys, key cards, remote controls and any other items at the Property. "Party" means either the Guest or the Landlord. "Reservation Date" means the date that the Booking was made. (c) Words referring to a person or persons includes companies, firms, corporations, organisations and vice versa. (d) Headings and titles are included in this Agreement for convenience only and shall not affect the interpretation of this Agreement. (e) Each Party must, at its own expense, take all reasonable steps and do all that is reasonably necessary to give full effect to this Agreement and the events contemplated by it. (f) Any obligation on a Party not to do something includes an obligation not to allow that thing to be done. (a) The Booking will be confirmed upon communication from the Landlord to the Guest that the Booking has been accepted. (I) the Landlord has received payment of the Deposit in full. (II) the Guest has validly agreed to the terms of this Agreement in the manner prescribed by the Landlord. (c) Once the Booking has been confirmed, the Landlord grants the Guest a licence to use the Property, subject to the terms of this Agreement. 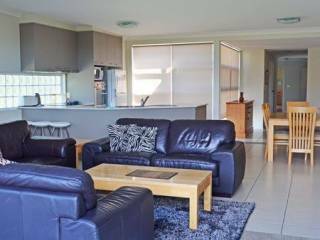 (a) In consideration for the Landlord allowing the Guest to use the Property in accordance with this Agreement, the Guest must pay an accommodation fee "the Accommodation Fee" of $300 Australian dollars per night. (a) The Arrival Date for the Booking is TO BE CONFIRMED___. (b) The Departure Date for the Booking is TO BE CONFIRMED___. ALL CANCELLATIONS WITHIN SEVEN (7) DAYS OF ARRIVAL DATE WILL INCUR A LOSS OF 100% OF ACCOMMMODATION FEE. EVERY EFFORT WILL BE MADE TO RELOCATE STAY WITHIN THE SIX (6) MONTH PERIOD PROCEEDING ARRIVAL DATE BEFORE LOSS OF 100% OF ACCOMMODATION FEE OCCURS. (c) if the Landlord is unable to accommodate the Guest in accordance with the preceding sub-clause hereof, then the Landlord will refund to the Guest any money which the Guest has paid to the Landlord under this Agreement, including any Accommodation Fee, any Deposit, and any Security Bond. The maximum number of persons who may occupy the Property is 2. Children are not permitted on the Property without the prior written consent of the Landlord. (a) Guests are strictly prohibited from bringing onto the Property or the surrounding grounds any pet or animal without the prior written consent of the Landlord. (b) In the event that the Landlord consents to the Guest bringing a pet or animal onto the Property, the Guest is fully responsible for any pets or animals which the Guest brings onto the Property, and will cooperate with the Landlord in taking any reasonable steps to minimise the risk of harm, loss or damage that the pet or animal may cause to the Property or to the Landlord. (a) Guests must not do anything which may be reasonably considered to cause a nuisance or annoyance, whether to the Landlord or to anybody else. (b) In the event that Guests cause an unreasonable nuisance or annoyance, that police are called in relation to a nuisance or annoyance that is caused by the Guests, or complaints are otherwise made about a nuisance or annoyance which is caused by the Guests, the Landlord reserves the right to immediately terminate this Agreement and upon such termination the Guests will have to vacate the Property immediately. Guests will not be entitled to a refund of any money paid to the Landlord under this Agreement. (a) Guests must consider neighbours and any other persons within proximity of the Property and must not create excessive noise, whether by loud music or otherwise. (b) In the event that neighbours or other persons are disturbed by excessive noise, police are called for excessive noise, or complaints are otherwise made about excessive noise which is caused by the Guests, the Landlord reserves the right to immediately terminate this Agreement and upon such termination the Guests will have to vacate the Property immediately. Guests will not be entitled to a refund of any money paid to the Landlord under this Agreement. THE PROPERTY MAY BE USED FOR SHORT TERM HOLIDAY RENTAL. (a) Guests must leave the Property including all carpets, floor coverings, doors, walls, windows, furniture, equipment, bedding, linen, towels, kitchen equipment, crockery, glasses, plates, white goods, electrical equipment, keys, key cards, remote controls and any other items at the Property ("Items") in a clean, neat and tidy condition. (b) Guests must not damage the Property and must not damage, remove or lose any Items. (c) Guests must immediately notify the Landlord of any issues with or damage or loss to the Property or any Items. (a) Guests must take all reasonable and necessary steps to safeguard the Guests' personal property. (b) The Guests and/or any other occupants or invitees of the Guests use the Property at their own risk. (c) Guests must exercise due care at and around the Property including, without limitation, observing any safety directions, instructions or signage and looking out for the safety and wellbeing of themselves, all other Guests, all invitees and occupants of the Property or any other persons. (d) The Guests hereby acknowledge and agree that to the maximum extent permitted by law, the Landlord will not be held liable for any loss, injury, or any loss or damage to property ("Loss") which the Guests and/or any other occupants or invitees of the Guests or any other persons may suffer in connection with the Guests' use of the Property, unless that Loss is caused by the Landlord's negligence. (e) This clause will survive the termination or expiration of this Agreement. (III) the relationship between the Landlord and the Guests. (b) The Guests shall not be liable under the indemnity given under this clause where a court of competent jurisdiction, giving a final judgment, holds that any loss, damage or liability is the result of the gross negligence, wilful misconduct or bad faith of an Indemnified Party. (c) This clause will survive the termination or expiration of this Agreement. The Guests hereby warrant that they will compensate the Landlord for any harm, loss or damage which the Landlord suffers as a result of the actions of the Guests, or of any invitees of the Guests and/or of any other occupants of the Property. This includes but is not limited to harm, loss or damage to the Property or to the Items, or any lost income which the Landlord suffers as a result of being unable to provide the Property to subsequent guests. 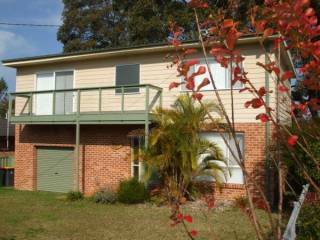 (a) In the event that there is a problem with the Property, Guests should contact the Manager on 0499 263 200. (b) Guests will not be entitled to a refund in the event that there are problems with the Property including but not limited to problems with television, stereo, fridge, wifi, other appliances, plumbing, electrical systems, or lights. (a) Any breach or anticipated breach by the Guests of any of the terms of this Agreement will permit the Landlord to enter the Property, to cancel or alter the Booking and/or to remove the Guests from the Property. (b) In the event that a Booking is cancelled or the Guests are removed from the Property, the Guests will not be entitled to a refund of any money paid under this Agreement. This Agreement is subject to the laws of New South Wales and each Party submits to the jurisdiction of the courts of New South Wales. If any clause or sub-clause of this Agreement is held to be invalid or unenforceable, it is to be read down or severed such that the remaining clauses and sub-clauses will be enforced to the maximum extent possible. In such circumstances the remaining provisions of this Agreement shall continue in full force and effect. At the termination or expiration or Completion of this Agreement, any provisions of this Agreement which would by their nature be expected to survive termination or expiration shall remain in full force and effect, including but not limited to any provisions which explicitly state that they will survive termination or expiration. (a) BY ARRANGMENT WITH THE LANDLORD. (a) The person who enters this Agreement as the Guest will be nominated as the primary point of contact and the person responsible for managing the Booking on behalf of all of the Guests ("the Responsible Adult"). (b) The Responsible Adult warrants that he or she is at least 18 years of age. (c) The Responsible Adult warrants that he or she is authorised to enter this Agreement on behalf of all of the Guests that the Booking relates to. (d) The Responsible Adult warrants that the information he or she has provided to the Landlord is accurate and complete, including but not limited to the information that the Landlord has provided about the number of additional Guests that will be staying at the Property, and the names of all other Guests. (e) The Responsible Adult must ensure that all of the Guests as well as any invitees of the Guests, and any persons who occupy or attend the Property during the Booking Term or for any part of the Booking Term, understand and agree to this Agreement, and comply with all of the Guest's obligations under this Agreement. By making a Booking to stay at the Property the person making the Booking confirms that all Guests have had the opportunity to read and understand the terms of this Agreement and they agree to be bound by this Agreement. Phone during ordinary business hours.